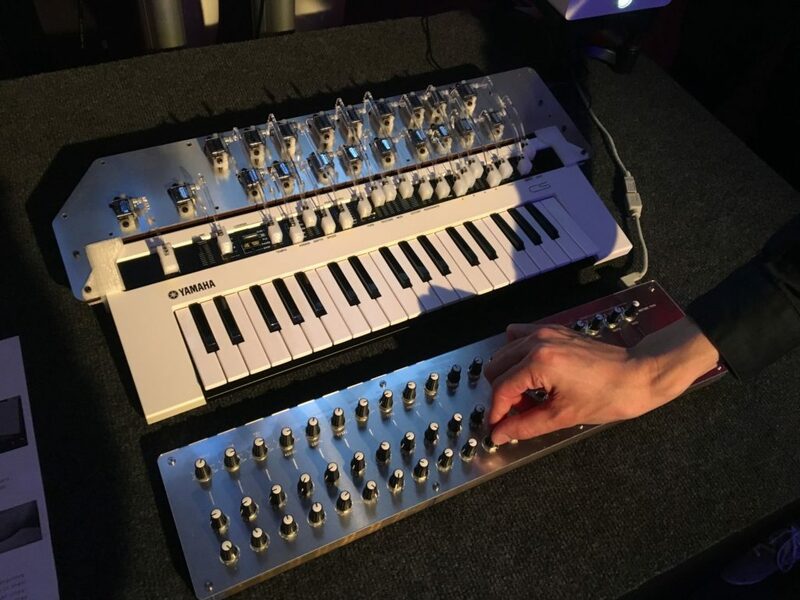 In just its second edition, Schneidersladen has turned the Superbooth into the world’s coolest synth gathering and most focused electronic music gear get-together. The Berlin-based event attracted a who’s who of international music gear makers, from modular to desktop, tiny to huge. 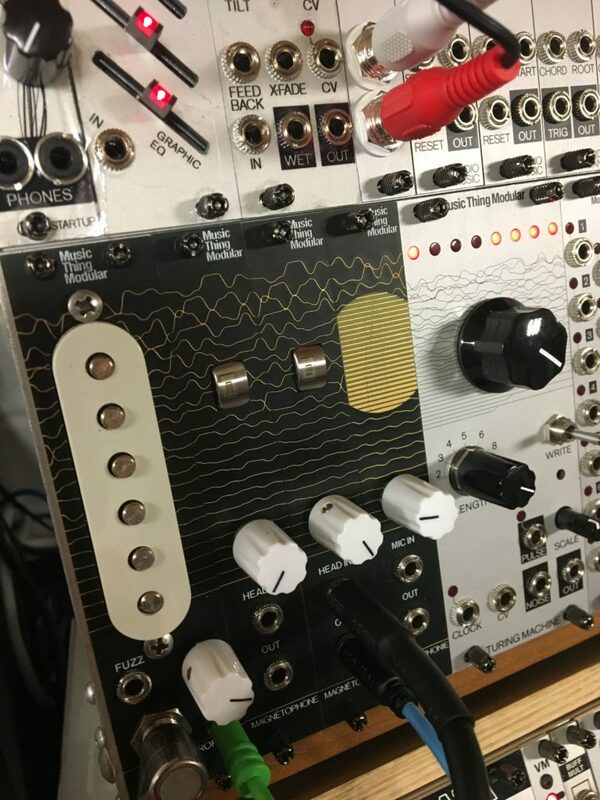 Well, while there was a litany of great new stuff, particularly (unsurprisingly) in the modular sphere, here are the prototypes and gear launches that I think represent the best of the best. That’s how to do advance press – Sound on Sound reprints were available alongside the Peak. Then again, most people focused on … playing with Peak, and doing their own review. Novation. Superbooth is still about boutique makers and tiny shops, but credit is due to some of the bigger players. 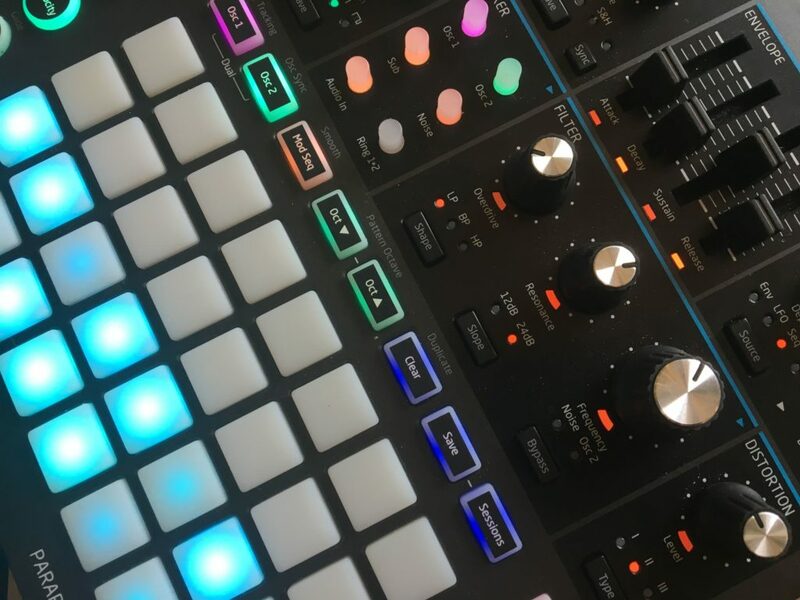 Novation’s entire engineering teams were on hand to show off their latest two synths, the Circuit Mono Station and Peak. And these instruments were terrific hits, appreciated by fellow engineers and musicians alike. The big test: people couldn’t get enough of playing Peak. That’s a good reminder that the synth market will never become just a commodity: these are instruments. You have to fall in love with them. They’re just prototypes, but these handy widgets Bastl had scattered over their booth look really promising, too. Bastl Instruments. Novation might have “won” Superbooth, were it not that they were right next to the plucky Czech wizards of Bastl. And this booth had everything. 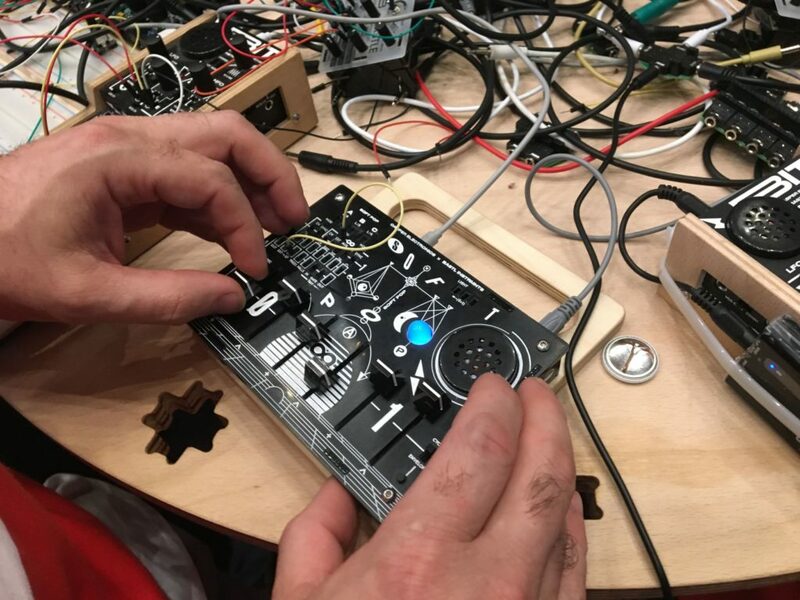 Not only were two of the biggest products of the show there (the softPop synth and Thyme effects processor), but Bastl’s corner was bestrewn with other great ideas. There were tiny mono mixers (Dude). There was a project to work with a friend to roast sustainable coffee, partnering directly with farmers in Colombia. 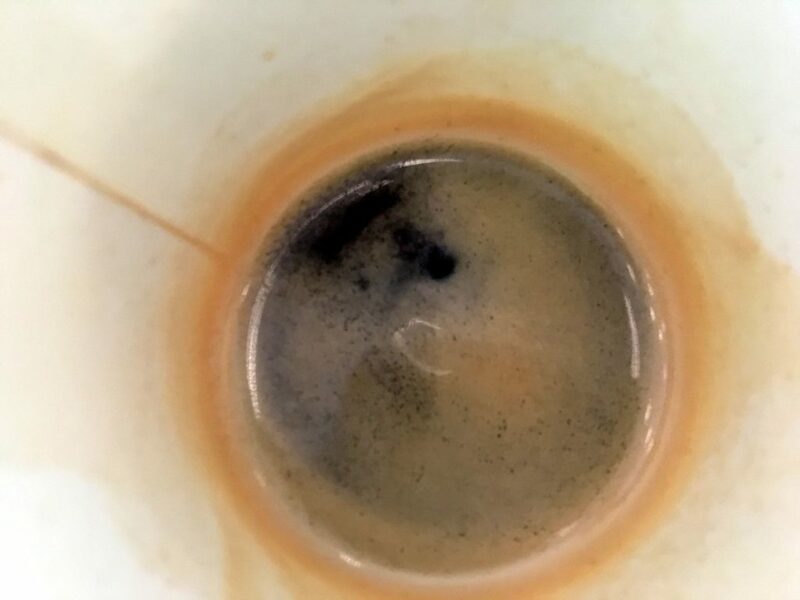 (The roaster is set to travel to Latin America to work side by side with said farmers. Thanks, Bastl, for keeping me awake by brewing this.) There was a lovely glossy zine full of essays and crisp black and white photos and, in Bastl’s words, “Eastern European broken English.” There were cassette tapes. There were performances with drum triggers hooked up to a modular. And there were even literally ideas sprinkled over the booth, in the form of LEGO-like widgets for combining signals and adding patch points. Bastl just seem to be endlessly overflowing with ideas, and they keep shipping them. I’ll cover softPop separately, in that I think it’s so great. Here’s a video of it in action, triggering a light. 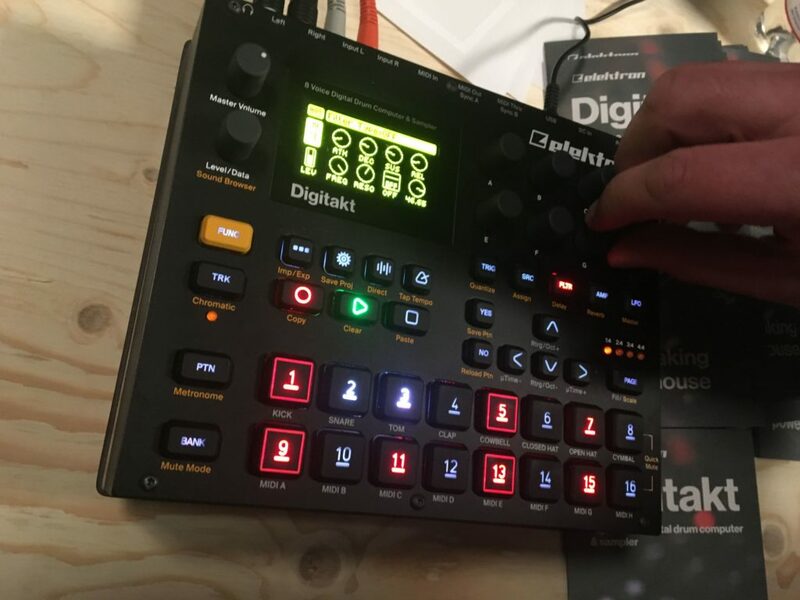 Elektron Digitakt. 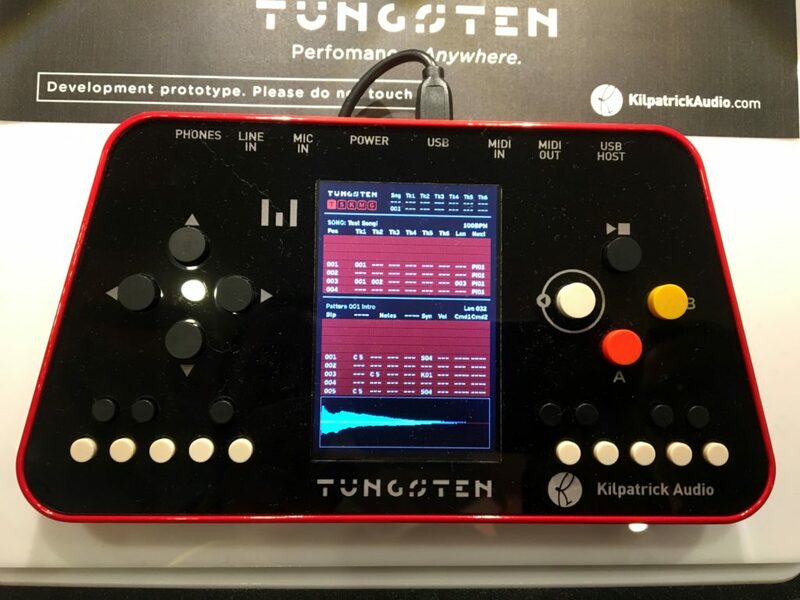 Elektron made a strong showing in 2017, both hosting a massive blowout concert/party at the Funkhaus Friday night, and showing the one bit of kit absolutely everyone wanted to get their hands on. Their new Digitakt sampler/drum machine was probably the single hardest bit of gear to demo, out of sheer force of popularity. But the hardware looks and feels and sounds terrific – and crucially, it looks like they’ve totally nailed workflow. The key here is, no more menu diving – everything is quick and accessible. Can’t wait to review this one. 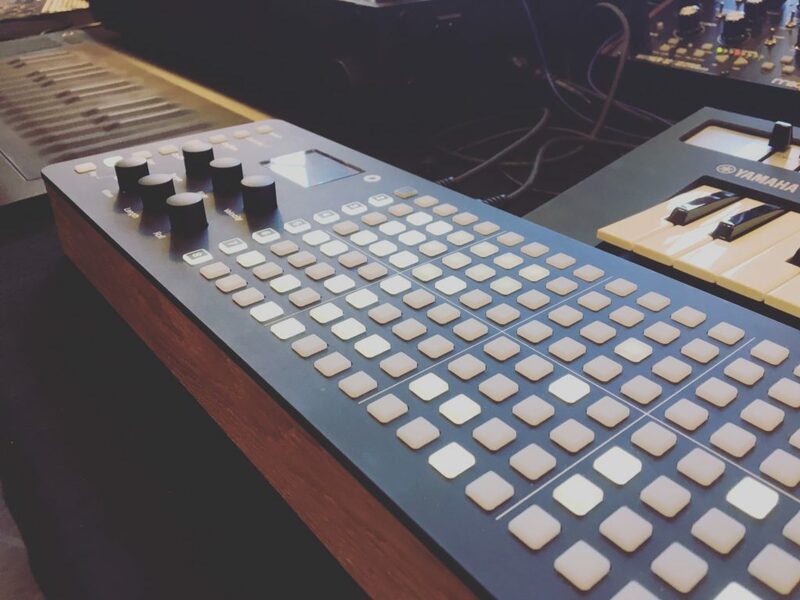 It seems poised to become the dominant drum machine hardware out there. Also, the other good news on Digitakt is that external sequencing features look significant. That could make this not only a great standalone machine, but a live performance hub / computer replacement. Jomox have their own new drum machine. Okay, so the Digitakt is great, and a beautiful mainstream device. But does it have any more eccentric competition? Yes. Yes, it does. MFB have made a compact Dominion. This might just be the sleeper hit of the show for synth lovers. 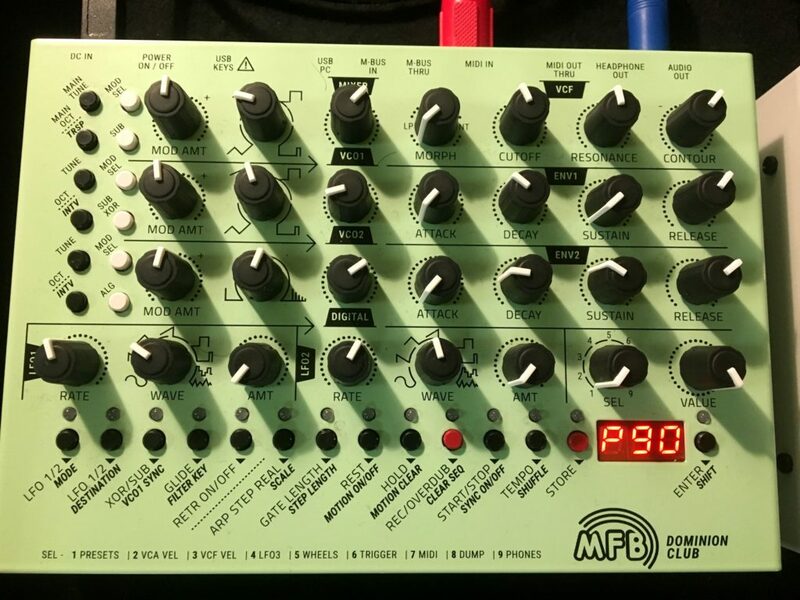 While Behringer was crowing about making synths on a budget, Berlin boutique shop MFB actually promised to pack loads of synth functionality on the lavish, powerful Dominion into a tiny case – and project a price for around $500. Whoa. It’s as idiosyncratic as MFB normally are, with tiny controls and lots of hidden features. But that’s part of why we love them, and at this price, with insane amounts of modulation, they may have a hit. 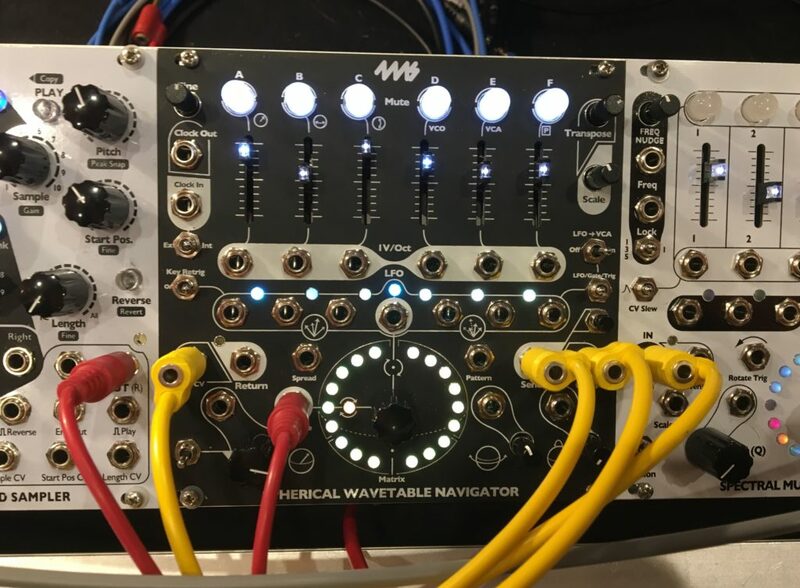 Also quietly announced at Superbooth, MFB’s little-known Nanozwerk synth is now in Eurorack form. Its simple, clear architecture is actually perfectly suited to that market – I could see it forming the bread-and-butter basis of someone’s modular rig. Eloquencer. I think this is my favorite module of the whole show. 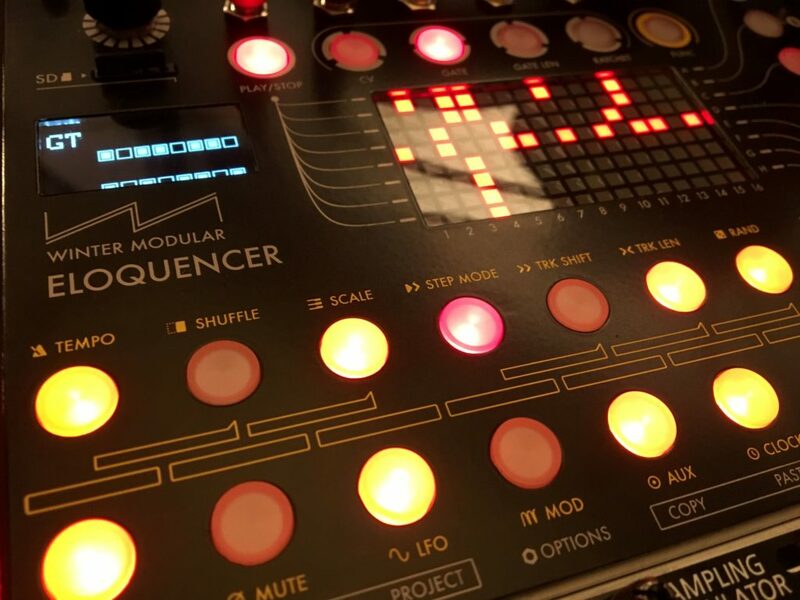 Coming from designers in Barcelona, it’s termed a “controlled chance sequencer.” What that basically means is, you have granular per-step control over randomized variations of all parameters. You can use that for subtle variety and humanization, or crank it up for more randomization. 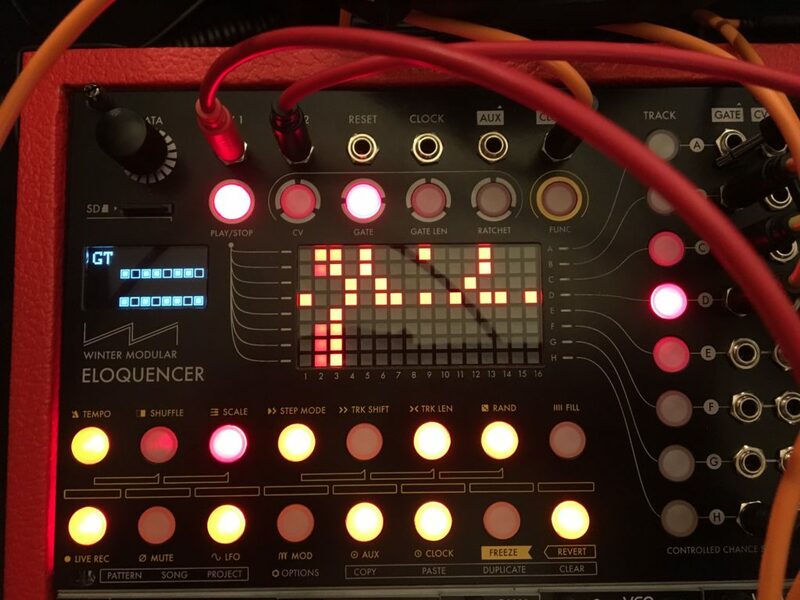 Now, there are lot of sequencers around, but this one deserves mention just for its attention to detail. Moving sequences around is easy. Separating a part of a sequence from the master clock is easy, allowing you to run freely or clock off an LFO. (Why doesn’t computer software let you do this, actually?) You can punch in sequences, generate them randomly, play them live. And the small screen gives you just enough feedback to keep track of where you are. It’s honestly about the cleverest hardware step sequencer I’ve seen, bar none. Some people may wind up getting it even to use outside of a modular context, though having the patch points is interesting. (With that in mind, they did show a prototype external housing.) This one is definitely on my review list, and I hope to make a visit to all the great hardware vendors in Barcelona, as well (hello to Endorphin, for instance). 4ms Spherical Wavetable Generator. 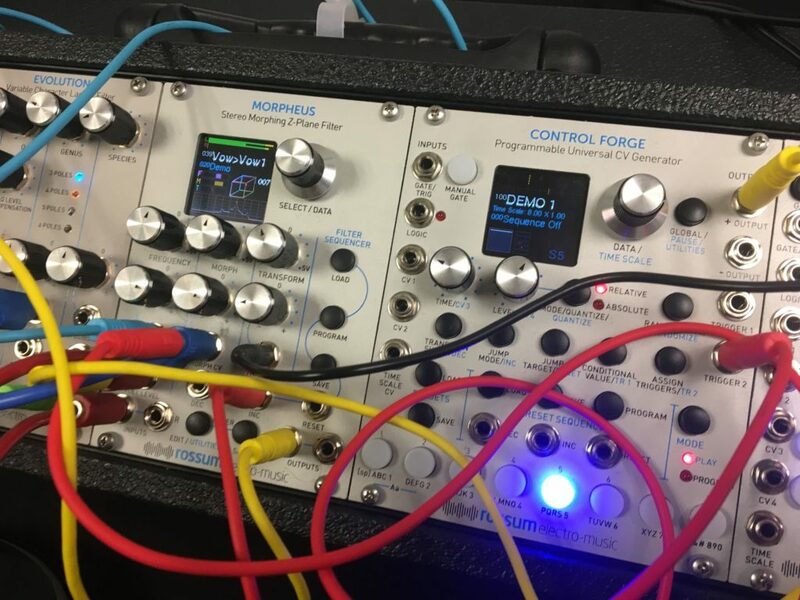 “Who needs another oscillator?” is a charge I routinely hear levied at the modular market. (“Who needs another synth?” is another reasonable question we all manage to avoid!) Well, here’s one answer: make a really great wavetable oscillator. That’s what 4ms have done, cleverly repurposing the (equally genius) Spectral Multiband Resonator‘s design. Here, it works perfectly, giving you easy additive access to bands and dial-in access to wavetables. Also, by toggling the buttons above the bands, you can apply parameter changes to just one band at a time for subtler sound design. (They hadn’t quite resolved this in firmware yet, but it was already promising.) You can also route signals in. I can’t think of an oscillator module that delivers this much sound. You could almost throw this alone in a suitcase and call it a day. And the patch points and control layout all make sense in this form factor and modular environment. PreSonus have a modular-friendly Thunderbolt interface. So, the interface connection wars are over, and Thunderbolt has (mercifully) won, both on Mac and now finally Windows. 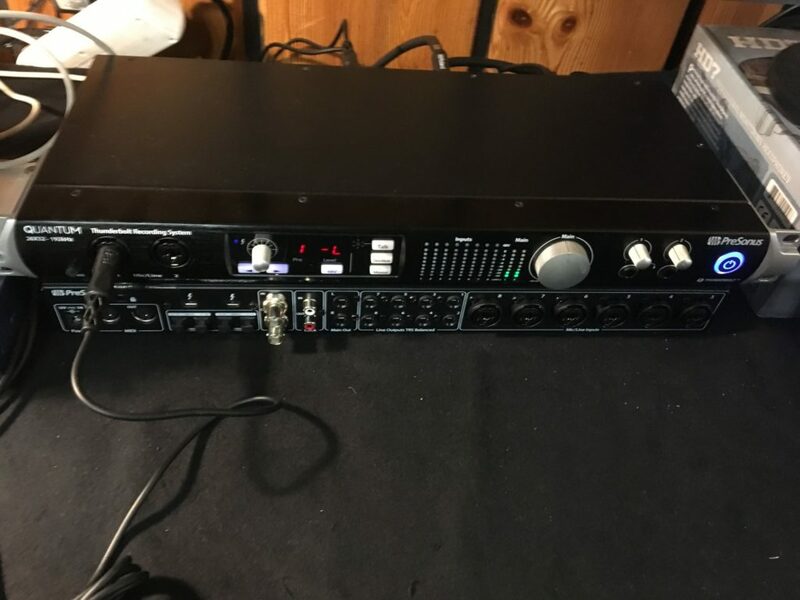 PreSonus have a promising interface that both promises sub-1ms latency via their drivers, and offers DC coupling for connection to modular if you so desire. And they have some strong opinions in the video about running natively rather than via DSP. Plus they’re projecting street price of US$999. More on this when they do their formal announcement. 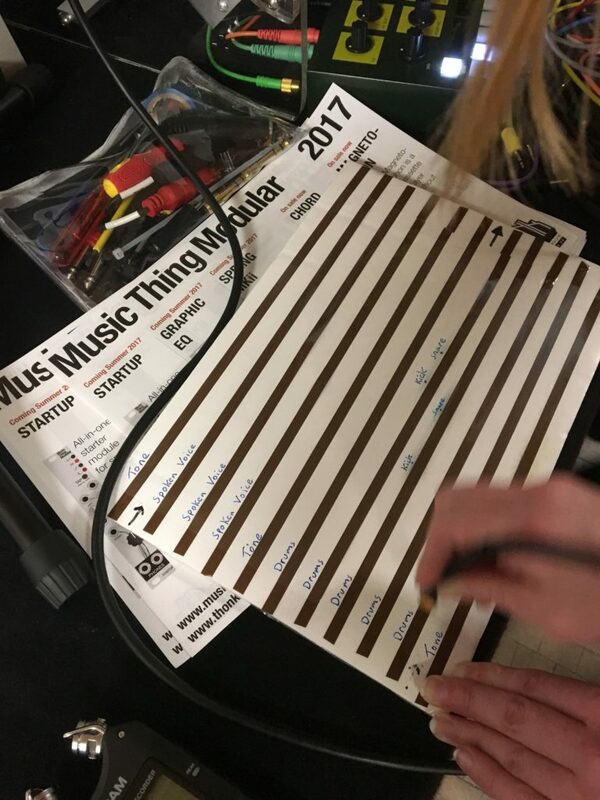 Music thing’s Magnetophone. 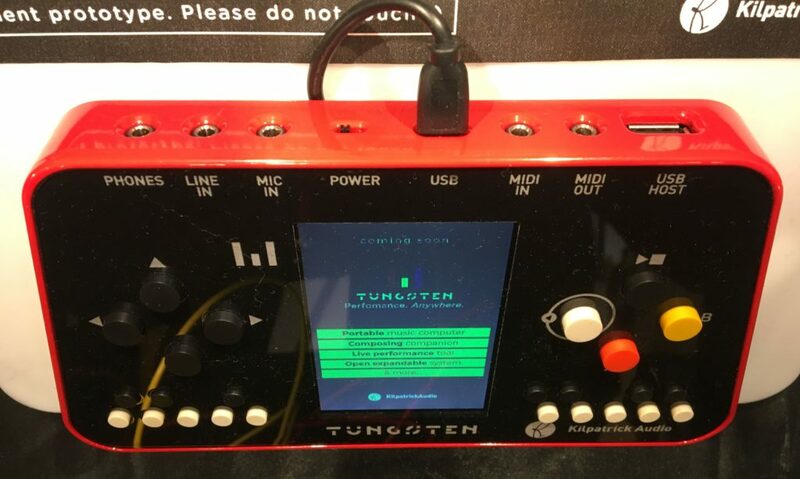 Okay, this one was already shown at last year’s Superbooth, but it’s easily one of the best modules of the show – and now it’s just about ready to ship. Coming from our friend Tom Whitwell, who made the jump from music tech writer to modular maker, it’s a stroke of sheer genius. Connect a magnetic tape head to a modular, and then perform by running it over tape. Finally, you can live out your Nam June Paik / Laurie Anderson fantasy, in about as complete a sound nerd convergence as one can imagine. Polyend SEQ. This product deserves special mention I think partly for feeling like one of the best-crafted industrial designs at the show. The encoders, the custom pads, and the aluminum and oak body feel like pure luxury. And having 32 steps and 8 tracks physically laid out without any menu switching is uniquely accessible. I’m not totally convinced yet by the actual sequence editing, which wasn’t yet complete in firmware. But between SEQ and the high-end PERC PRO robotic percussion system, this company out of Poland are proving that it’s possible to create new innovations for deep-pocketed electronic musicians. And it’s nice to see someone pick up on the craftsmanship statement the original monome made, and not just its grid design. Sound Semiconductor and Rossum. I think the quietest news at Superbooth may have been the best – prepare to get a little geeky for a second. Ron Dow and Solid State Music, founded in 1975, are an unsung hero of the electronic music revolution. 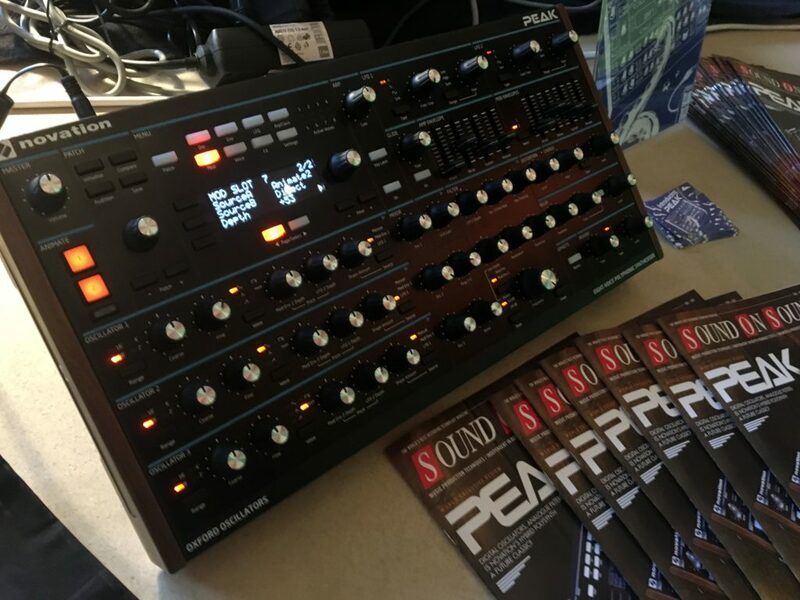 So you know Dave Smith and MIDI – but Solid State also helped propel the industry with cheap chips that formed the building blocks of a lot of the gear that would come. Now, the original engineers (including Dave Rossum) are making new VCA and VCF chips, improving on their original designs. The upside here is, you get engineer-driven, musician-friendly chips from the original creators, instead of reverse-engineered clones. Part of the mark of Superbooth as opposed to other shows, and how many engineers were gathered in Berlin, was evidenced by all the engineers crowding around Dave and Ron and checking out the specs. On the consumer side, I got my first play on Rossum’s Morpheus “Z-plane” filter, seen above. Now, what I want to say is, this runs the dangerous road of putting effectively a high-end software plug-in a modular. But I can’t say that – because using this module is simply a delight. It sounds absolutely delicious, and that color screen and luxe knobs are a joy to use. It feels like one of those few modules you’d really want to splurge on and treasure. And it’s an example of the high-quality, serious gear now available in modular, stuff that feels like real tools. Polivoks gets a proper clone. 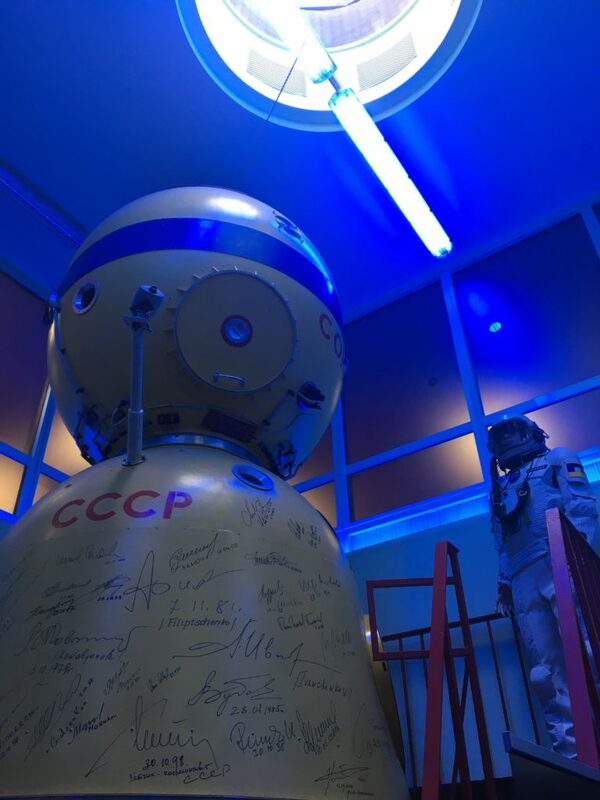 Interest in Soviet-era synthesis just keeps rising, but now that the secondhand market has worked out that we want this post-Communist stuff, it’s expensive (not to mention typically unreliable). And clones have been scattered. Now, finally, the peculiar Polivoks synth gets a real all-in-one reissue. It’s authorized by the original designer, and modernized. Unfortunately they’re doing only 100 units. I can tell you my Moscow-based Russian friends were excited by it. I’m curious how the Polivoks legacy and growing Russian synth scene will evolve in the near term. I should be visiting the Russian capital (again) for Synthposium later this summer, so it’ll be a good chance to check in on them. Erica Synth’s Dual Filter. While Polivoks gets its own reissue, Erica in Riga, Latvia are also operating with some of the humans and manufacturing capacity of the former Soviet synth production. (Riga was an industrial center of the USSR.) And in a crowded modular market, I think Erica deserve credit for putting together complete systems of gear. The dual filter is an elegant, intelligent design to add to that portfolio. Eowave Quandrantid Swarm. I covered it before, but the new Eowave deserves a second mention. Its sound and design is genuinely unique. Yamaha’s beautifully unnecessary Reface robot. Here’s how you show up to Superbooth. You show up with a damned robotic keyboard connected to a massive number of knobs. This crazy project was produced in collaboration with Fukuoka’s Anno Lab. All that and cool space stuff. FEZ Berlin somehow tops the Funkhaus for cool ex-DDR venues that work perfectly for synth fairs. 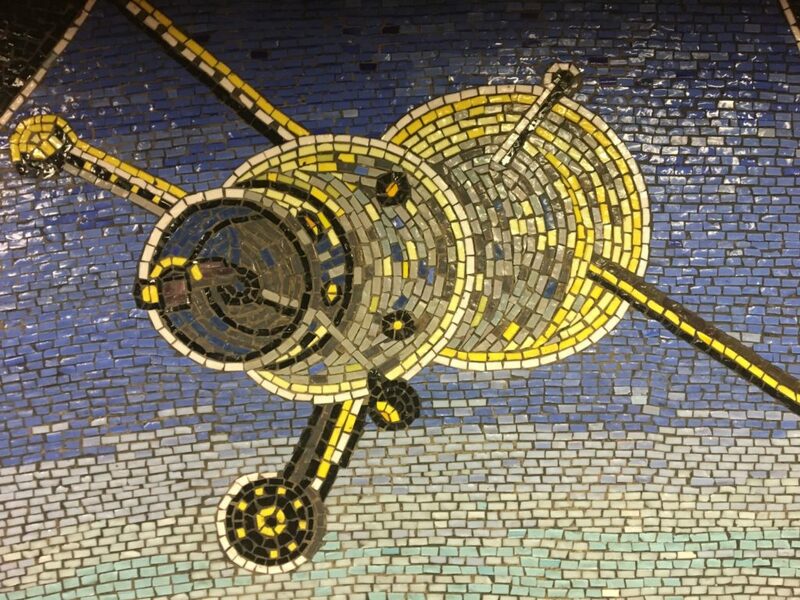 The Communist-era space props everywhere just added to the fun. That’s it for now – we’ll keep bringing you in-depth Superbooth coverage all week, in our usual slow news fashion.